Minister of Education and party chairman, Patrick Faber picked up major support over the weekend in his bid for U.D.P. deputy party leader. 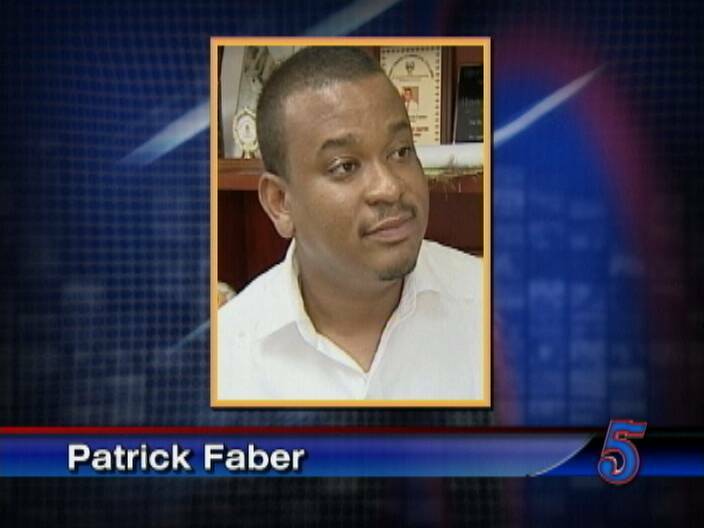 Faber hosted delegates from the entire Belize District at an event on Saturday night. Of the thirteen constituencies, eleven offered support. Big players in the U.D.P., such as two former party leaders, Dean Lindo and Manuel Esquivel as well colleague Michael Finnegan endorsed Faber. Delegates from the Queen Square and Port Loyola division did not attend. Faber is challenging the sitting Deputy party leader, Gaspar Vega at the February convention. Anyone but Gapi. The sooner he is gone from the scene, the better off the Jewel will be. From one incompetent fool to a next. Cant get any worse. come out and say why your drunken relative has a government vehicle at 4AM ..this is no leadership material. if this fool win then this country gone to ! @$$ fu tru…. Agree from one incompetent fool to the next ,where the hell are heading to.They should be ashamed for trying to run a country and cannot run there own families . I pity UDP, having to choose a deputy leader between an admittedly (and proudly!) corrupt minister and one who fumbles at every step, and seems to aspire to corruption. Can’t the ruling party do much better? PM Barrow is the smartest man in the Jewel, probably in the world, and he should be able to find a much better deputy, one with integrity and vision. I’m sure UDP has plenty of them to spare. I guess we exchanging “monkey fu black dog”. Faber clearly has not demonstrated any leadership abilities that is superior to Vega. I agree with corruption what is a drunken relative doing driving 4 in the morning in goverment vehicle and crash with people inside and they are removing license plates. What are you hiding and you want support to be Deputy Leader. No way too much cover up and corruption on your part . Incompetence plus arrogance a very bad combination! Now I can truly say Belize is in the dirt box if this is what leadership means one judas one idiot and the rest thieves and murderers.